Ingredients: Cyclopentasiloxane, Cyclotetrasiloxane, Dimethiconol, Cyclohexasiloxane, Dimethicone, Caprylyl Methicone, Ethylhexyl Palmitate, Ethylhexyl Cocoate, Tocopherol, Soybean (Glycine Soja) Oil, Retinol, Dimethylmethoxy Chromanol, Silica Dimethyl Silylate, Butylene Glycol, Pentylene Glycol, Sodium Hyaluronate, Tocopheryl Acetate, Fragrance, Bakuchiol, Tetrahexyldecyl Ascorbate, Bisabolol, Tocotrienols (Tocomin), Elaeis Guineensis (Palm) Oil, BHT, Lecithin, Phenyl Trimethicone, Caprylyl Glycol, Glycosphingolipids, Ceramide NP. 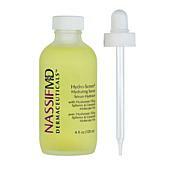 Im thrilled with this serum! It actually absorbs into the skin rather than just sitting on the surface. There is no greasy after feel either. 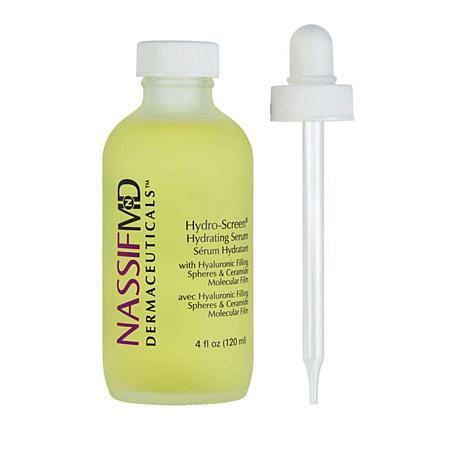 We have skin care line that lives up to the hype and exceeds expectations. You will not regret using this or any products in this line. Love them. This product is AMAZING!! My skin has NEVER been so soft and smooth. Fine lines are diminished, and the overall texture of my skin has improved. My skin actually glows!! 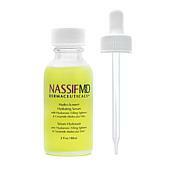 Thank you Dr. Nassif for creating such a miraculous product!! I CAN'T BEGIN TO TELL YOU HOW WONDERFUL THIS PRODUCT IS. A FEW DROPS ON CLEANSED FACE AND THE PRODUCT SOAKS INTO YOUR SKIN IMMEDIATELY, NOT GREASY, BUT ABSOLUTELY MAKES YOUR SKIN AS SOFT AS CAN BE AND READY FOR YOUR SERUMS OR MAKEUP. THIS PRODUCT IS WONDERFUL. I WOULD GIVE IT A 6 STAR RATING, IF POSSIBLE.